Tired of carrying large, cumbersome multifunction calibrators with their confusing buttons and menus? PIE multifunction calibrators are small, easy to use and extremely accurate. The unique and intuitive EZ-DIAL Double Click Menu makes them simpler to setup than larger calibrators with their complicated button filled panels and confusing menus. Use PIE right out of the box instead of wasting time learning to use more complex calibrators. PIE has a multifunction calibrator to fit your needs from the PIE 820 with a single display to the advanced troubleshooting capabilities of the PIE 830. Have you had issues in the past where your multifunction calibrator wouldn’t work with some of the instruments in your plant? 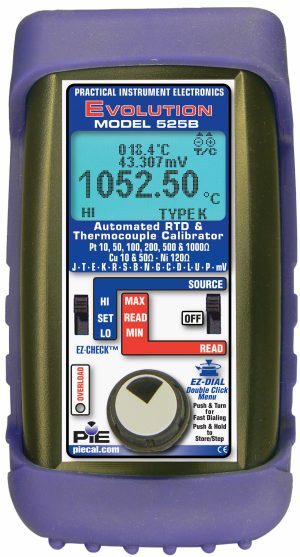 Our multifunction calibrators are guaranteed to be compatible with all process milliamp, voltage, thermocouple and RTD inputs including all brands of smart temperature and multivariable transmitters, PLC input cards, DCS systems and multichannel recorders. 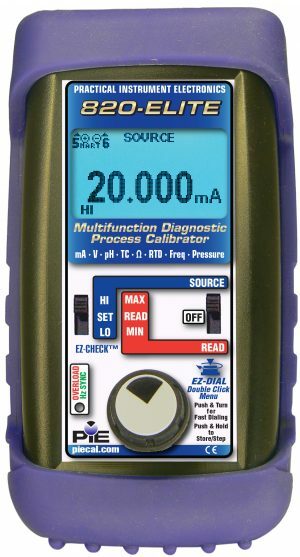 All the multifunction calibrators have fuse-less protection, rugged design, and long battery life. Stop wasting time swapping out instruments to locate loop problems. 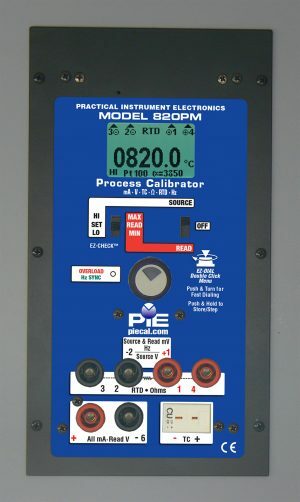 PIE calibrators have automatic troubleshooting functions to locate problems caused by corrosion or moisture in conduits, excessive loop loads, broken RTD wires and flaky loop power supplies. No other brand of calibrator has these patented features! Need to replace an Altek Multifunction Calibrator?